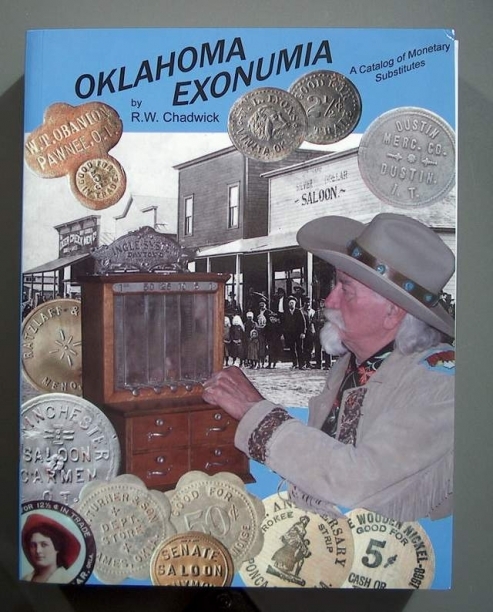 Oklahoma Exonumia (Tokens) by Richard W. Chadwick Copyright 2007 725 pages. Paper Back Version Excellent reference book on Indian Territory/Oklahoma Tokens. Satisfaction guaranteed. Fully refundable within 14 days of reciept.